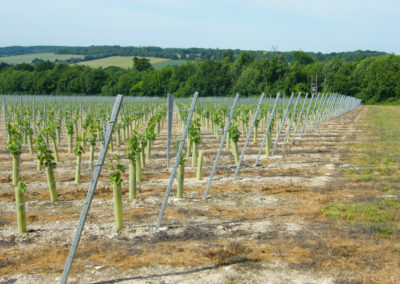 Situated in the Elham Valley, this 10 hectare site was chosen due to its similarities to the Champagne region in France. 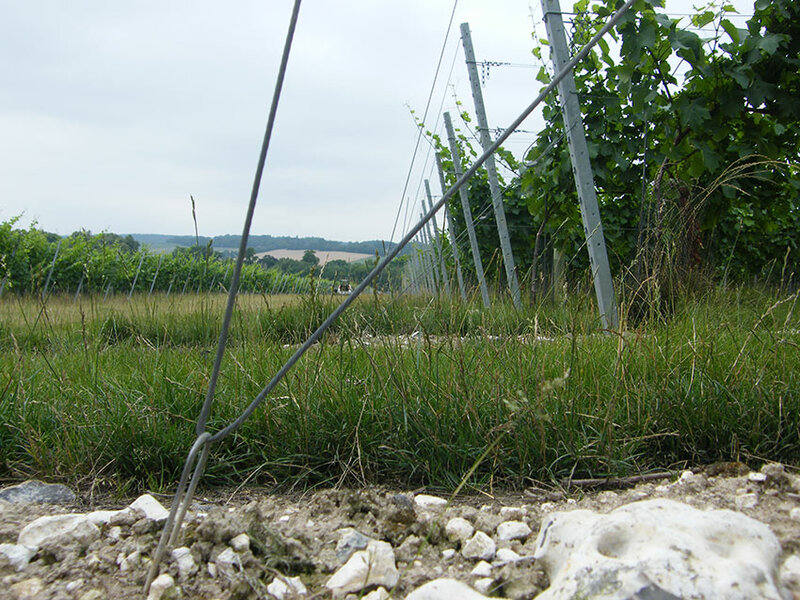 While the chalky loam soil conditions were ideal for growing vines, the extremely hard ground did pose a challenge when it came to securing the vineyard trellising. 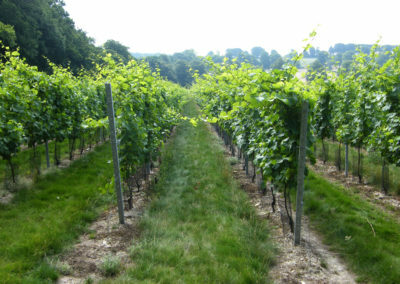 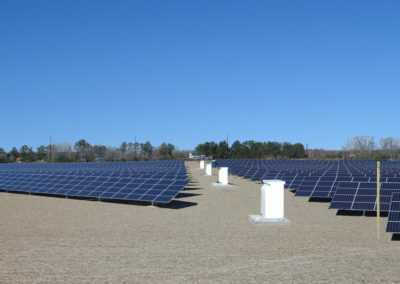 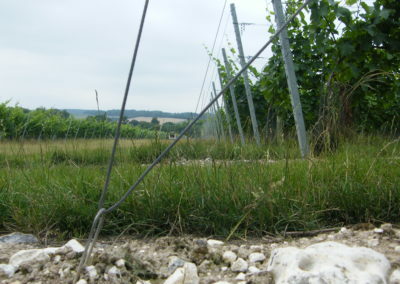 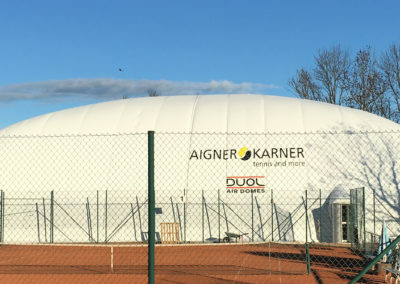 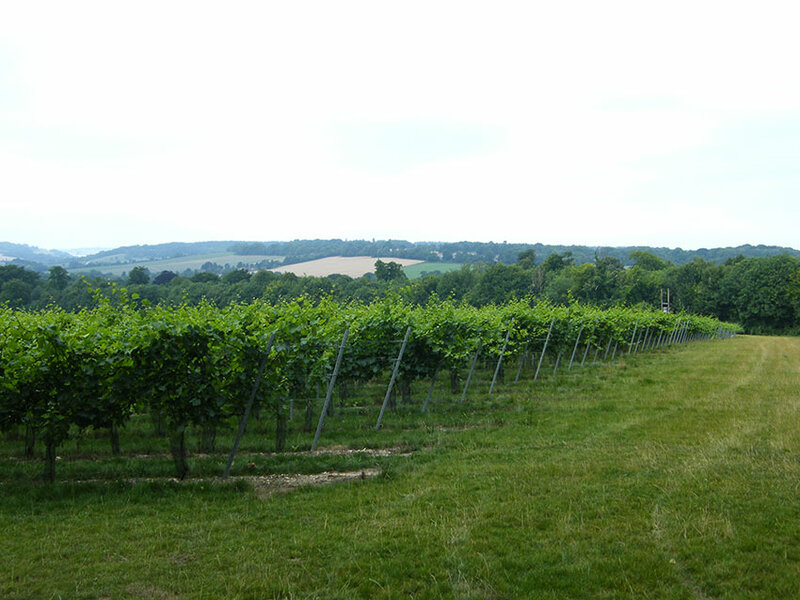 An anchoring solution was required that would be able to penetrate the chalk to a suitable depth and safely support the trellising and 38,006 vines. 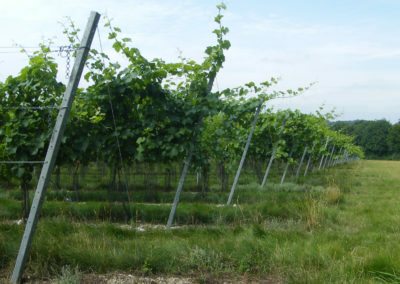 The experienced team at Vineworks. were selected to carry out all the trellising work and, due to the chalk soil, they chose to use the S4V1S anchor system. 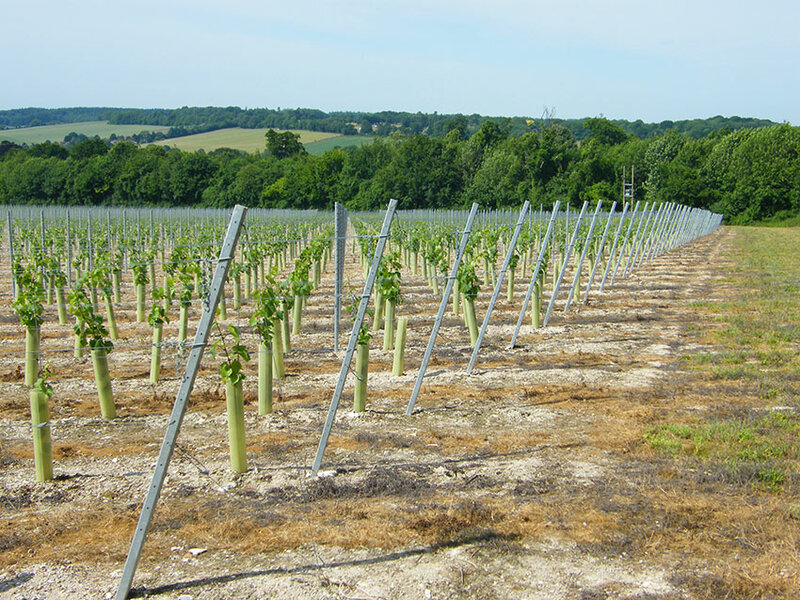 The sleek design of the anchor made for a relatively quick and easy installation using a tractor with hydraulic post rammer. 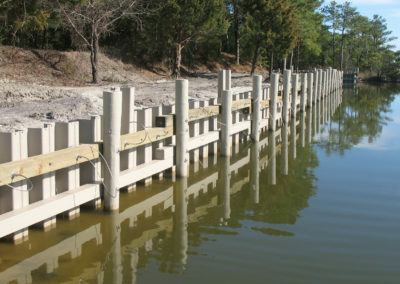 Once loadlocked into their working position, the anchors provided loads in excess of 1000kg. 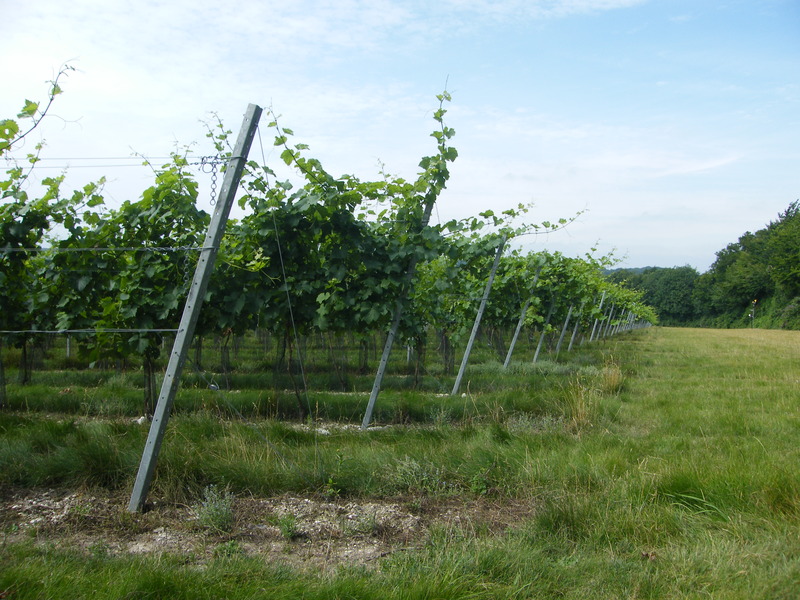 This excellent performance combined with a high quality stainless steel anchor wire provided the perfect solution for supporting the Chardonnay, Pinot Meunier and Pinot Noir varieties.